When Emily Smith from the Plymouth Herald joined us at Tree Surfers…. this is what she had to say ….. The tree wobbles as I stand on a small wooden platform meters from the ground. I look down – close my eyes, take a deep breath and go for it – it seems there is no way out other than to fly through the trees. Not scared of heights myself there is still something quite daunting about looking out across a wooden walkway and knowing there is no other way down. The harness keeps you safe but doesn’t make you feel restricted – allowing you to feel free at the tops of the trees. 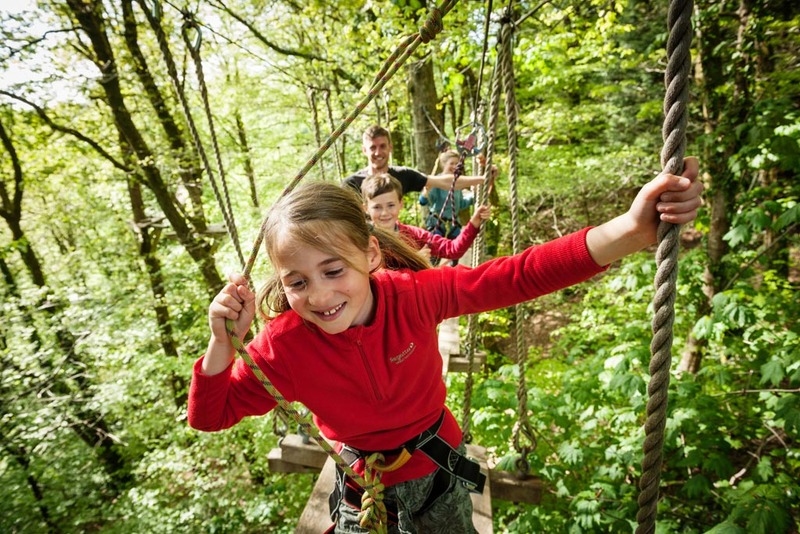 But it’s not just me who has given tree surfing a go – it seems everyone is keen to try their best primate impressions and people of all ages are queuing to swing through the trees at Tamar Trails, near Tavistock.